What are the best places for property in Southeast France? 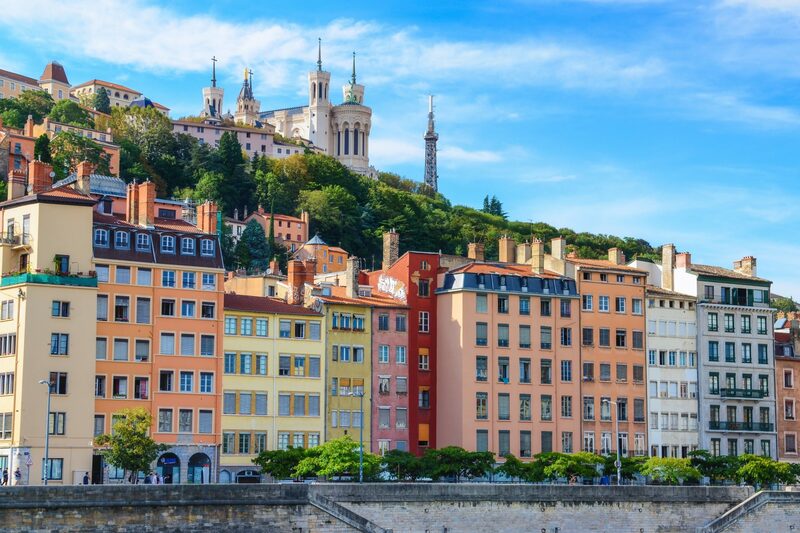 The region is home to a Mediterranean climate and the French Riviera (Côte d’Azur) – all of which are extremely popular with expats hunting for property in Southeast France. You are likely to find many British expats in the Rhône-Alpes, the Provence-Alpes-Côte-d’Azur and the Languedoc-Roussillon. This is a particularly great location for property in Southeast France if you love winter sports. It has an abundance of mountains and rivers to enjoy. Plus, of course, there’s also the renowned skiing resorts of Chamonix, Val-d’Isère, Megève and Courchevel. This region is above all varied. It stretches firstly from the Massif Central to the West of the Italian border, right down to Provence in the South. Its capital is Lyon. It’s also the second-largest city in the country, a UNESCO World Heritage site. Furthermore, it is of course France’s gastronomical centre. The countryside here is chiefly well known for its beautiful lavender fields, lakes and mountains. There are also the glorious vineyards of Beaujolais to visit. Foreign buyers looking for a permanent home chiefly look towards the Ardèche, so there is a well established British community of roughly 13,500 here. Foreign buyers looking for a permanent property in Southwest France in this region tend to look towards the Ardèche, on the West. Consequently, there’s already a well established British community of roughly 13,500 here. This then spreads out to Lyon, Grenoble, St. Etienne, Annecy and Evian, where a number of British expats live and also work. There are numerous international schools in this region. This is also an area for the most part with great investment potential. This is particularly the case around the popular skiing resorts, where people often rent chalets for a specific amount of time. 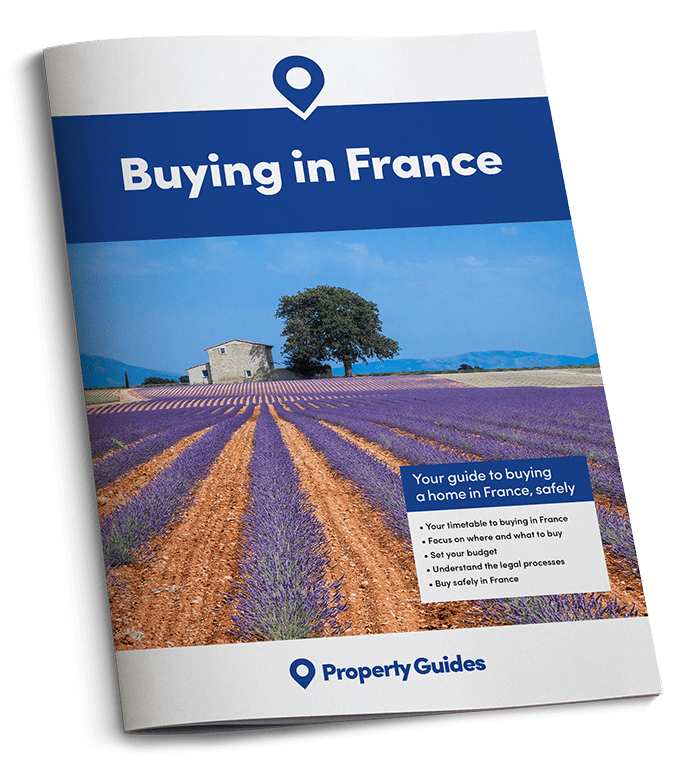 This region’s popularity with British buyers as a location for property in Southwest France means it is easy to get to. There are flights into Lyon, St. Etienne, Grenoble and even nearby Geneva. British Airways, Ryanair, EasyJet and also Air France serve the region from many UK locations. Access by train is easy from Paris – convenient for many of the ski resorts or if you buy property in Southwest France. You can even also get to Bourg St. Maurice or Moutiers directly from London St. Pancras or Ashford twice a week during ski season. Likewise, road access from the rest of Paris is also simple. There are a number of autoroutes taking you to Grenoble, Lyon and further afield. The natural beauty of Provence and the Côte d’Azur has inspired everyone from Vincent Van Gogh and Cezanne to F. Scott Fitzgerald. The region’s therefore historically been the home of artists, writers and musicians. No wonder it’s popular for property in Southwest France. Peter Mayle’s books, ‘ A Year in Provence’ and ‘Toujours Provence’, in all probability, led to a price boom in the area. If you’re looking to invest in property in Southeast France, this region is undeniably a smart move. It also chiefly attracts those seeking second homes for retirement purposes. Nice is particularly popular for property in Southeast France due to its location on the French Riviera. It is blessed above all with a sunny climate, beautiful stretches of beach, palm trees and promenades. It additionally has a lovely old town with many museums and other tourist attractions. It isn’t cheap, however. Nonetheless, Alpes-Maritimes offers a reasonable alternative, especially for renovation properties. There is a thriving buying and rental market here, for permanent homes and also holiday homes. Cannes has a year-round rental market, buoyed by the famous Film Festival held every year in May. Much tourism and industry around Provence’s coastal villages and vineyards make this a great investment. You are unlikely to lose money in this area, as the market is particularly stable. Nonetheless, if this is your chosen region for property in Southeast France, you’ll need deep pockets. The average two-bedroom house can cost more than €800,000. Cannes is one of the best known cities in the Provence-Alpes-Côte-D’Azur due to the annual film festival – and a great location for property in Southeast France. Nice is easily accessible by air from all of London’s main airports. Additionally, there are also flights from many places across the UK with British Airways, EasyJet and Air France. There are also flights from the UK to nearby Toulouse, Bergerac, Toulon and Marseilles. By train, the high-speed TGV service runs from Paris and Lille to Aix-en-Provence and Marseille, while Eurostar offers a service from Lille Europe to Perpignan. Access by road is equally easy, thanks to the A6 from Paris, linking via the A7 to the A8 for Cannes and Nice. It also offers spectacular views, making the drive an experience in its own right. If you are interested in living a Mediterranean life, the Languedoc-Roussillon could be the place for your property in Southeast France. Home to Montpellier, the Mediterranean coast and French Catalonia, the region is chiefly known for its historical background and 320 days of sunshine a year. It’s undeniably rife with investment possibilities, thanks to the sheer number of tourists who visit the region on a regular basis. The larger cities of the region can be expensive (and exclusive). Your average three-bedroom house in Montpellier, for example, will cost over €500,000. The larger cities of the region can, not surprisingly, be expensive (and exclusive). Your average three-bedroom house in Montpellier, for example, will cost over €500,000. Moving just slightly inland, you will find cheaper properties, especially in the mountain region of the Pyrenees-Orientales. Here, you can find a similar property for approximately €80,000. Likewise, in Aude, it will cost around €60,000. 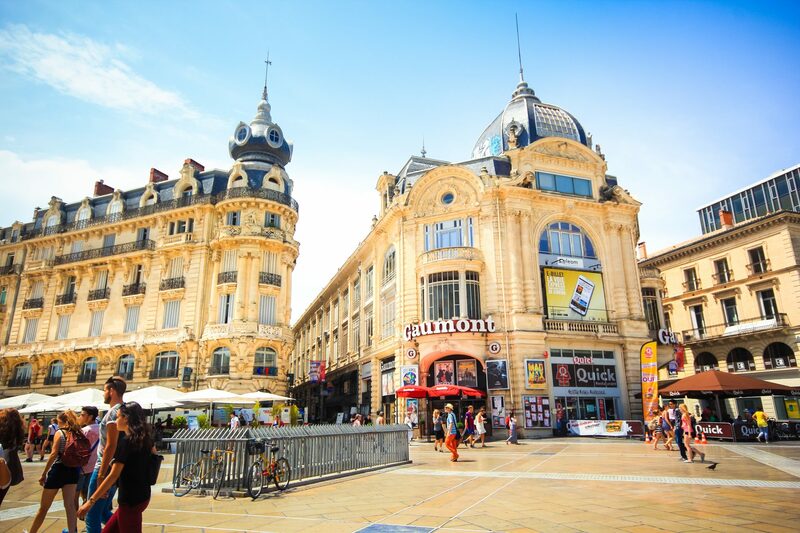 Montpellier is the region’s capital, home to more than 260,000 people, with a cosmopolitan feel. Close by is also Carcassone, renowned by many as one of the world’s most visually stunning cities. It’s almost Disney-like. As you can imagine, it is a major tourist attraction throughout the spring and summer. It’s also a beautiful location for property in Southeast France. Schooling here is excellent; the Ecole Privée Bilingue Internationale is just outside Montpellier. It caters for children from nursery school right up to sixth form. There are five airports in Languedoc-Roussillon. There’s firstly Montpellier International airport and secondly also four smaller but extremely active airports at Nîmes, Perpignan, Beziers and Carcassonne. These are served by flights from British Airways and Ryanair, flying out from a number of airports in the UK. There is also a TGV rail service from Paris Gare de Lyon to Nîmes, Montpellier and Perpignan – and a direct Eurostar link from Lille Europe to Montpellier. The easy access continues by road, thanks to the A9, and access from Paris is easy with the A10 and A20.